Bingo Crush Review | FREE £20 Welcome Bonus! New for Summer 2013 Bingo Crush has a fun and flirty romantic theme. It uses different software to most sites so looks a little different. Join Bingo Crush and claim a free £20 welcome bonus with no deposit. 1. Click here to visit Bingo Crush. Bingo Crush has been brought to us from Programming Winners Online and the games our powered by Logic Dice, an uncommon software choice giving the bingo site a unique and different feel. 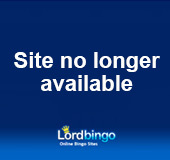 Enjoy your favourite 75 and 90-ball bingo games in a fun and flirt gaming environment. You can start playing at Bingo Crush with a free £20 no deposit bonus which is just perfect for getting you familiar with the full range of games. As well as bingo you can enjoy keno, roulette and slots. Once you've spent all your bonus cash then you can grab an absolutely massive 500% cash match on your first deposit and the site also offers further bonuses on all the other deposits you make when playing at the site. For a fun and different online bingo experience try Bingo Crush.